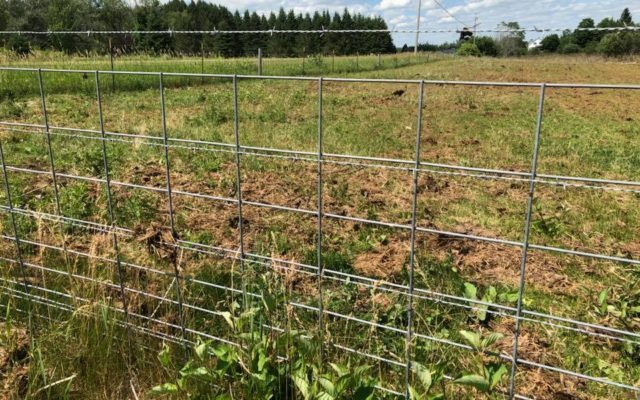 The Fort Fairfield Police Department is seeking the public's help in tracking down the culprit behind the theft of livestock fencing at an Amish farm in Fort Fairfield. FORT FAIRFIELD, Maine — The Fort Fairfield Police Department is seeking the public’s help in tracking down the culprit behind the theft of livestock fencing at an Amish farm in Fort Fairfield. Police Chief Shawn Newell said that the cattle panel fencing was stolen from an Amish family farm along Route 1A sometime between Sunday, July 7, and Thursday, July 12. Between 20 and 25 sections of fencing, each 16 feet long and 50 inches high, were stolen from the property. The fencing sections were piled and ready to be installed near the family’s home. While police did not give an estimated value, similar sized panels sell for about $25 apiece at supply stores. Newell said that anyone with information about the incident can contact the Fort Fairfield Police Department at 207-472-3808 or Aroostook County Crime Stoppers at 1-800-638-8477.